B.Sc. 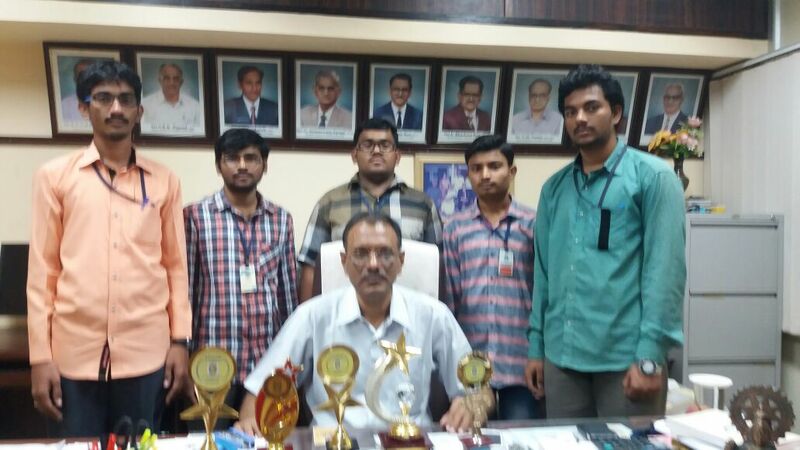 Electronics (Maths, Electronics, Computer Science) students won prizes in Poster Presentation, Project Expo, Quiz and Paper Presentation events held at PB Siddhartha and Loyola colleges in Vijayawada. Principal Dr. I. Nageswara Rao Garu congratulated prize winners. V.RamKotaiah 1977 B.Com Won Gold medal and Shield for college as Best B.Com. Student. P.Sivasankara Rao 1974 B.A. Received Shri Prabhala Sundararamaiah Pantulu Gold Medal and Andhra Nataka Pitamaha Dharmavaram Krishnamacharyulu Prize for Distinction in B.A. H.Sambasiva Rao 1975 B.Com. Stood University First and secured a Shield instituted by Indian Chamber of Commerce. S.A.Yagnavalkya 1973 B.Com Stood University First and secured a Shield instituted by Indian Chamber of Commerce. R.Prema 1972 B.Com Stood University First and secured a Shield instituted by Indian Chamber of Commerce.